Hi everyone! Sorry I've been slow to post lately... law school and an internship are taking over most of my time. But I'm really trying to swatch as much as possible! Today, I have for you the October Barkbox, which both of my girls are obsessed with! One of the cool things about Barkbox is that not only do they make boxes for dogs, but they also make them for cats! Right now, there is also a $10 off your first box coupon. So you can click here and enter the code: ROIGBBX1 to receive your box for just $19! A donation will also be made to Romp Rescue, so it's a big win all around! First up in the Barkbox is the bumi ZogoFlex! This is the large sized ZogoFlex, which retails for $13.25. The girls LOVED this because it gives them a great solo toy and also an awesome tug toy. Plus, if I step on it, I don't start screaming. So that's a bonus haha. 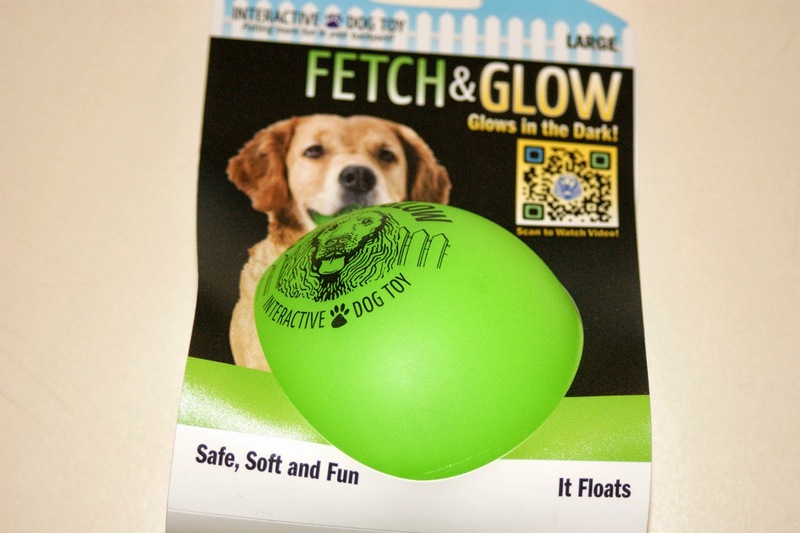 Next up is the Fetch&Glow, a glow in the dark ball, which retails for $10.49. 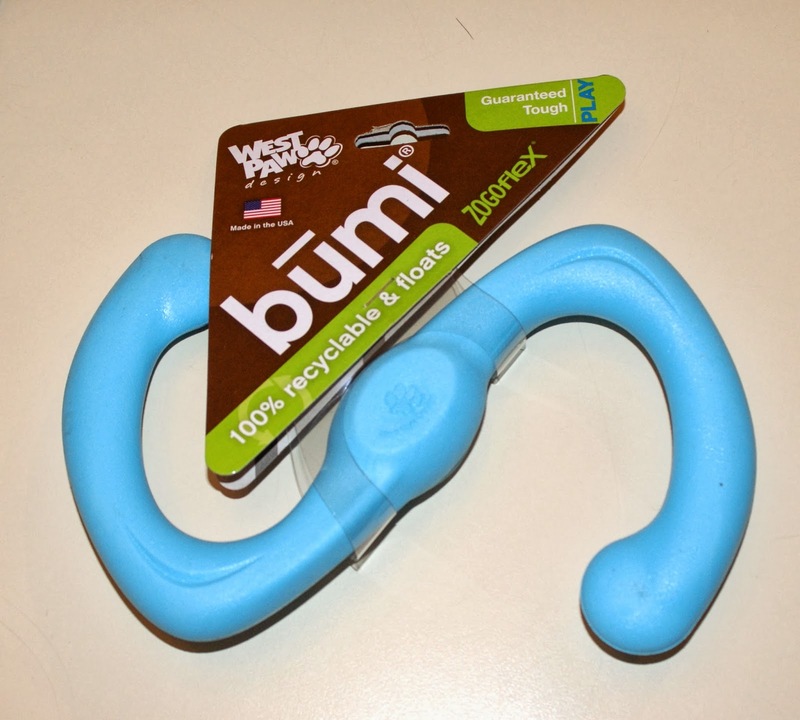 It's soft, but durable and as you can see on the package, it also floats. The only downside is that in order to glow, it has to be exposed to sunlight for a few hours. But since it mainly stays inside the house for my dogs, that's not really an issue for me. 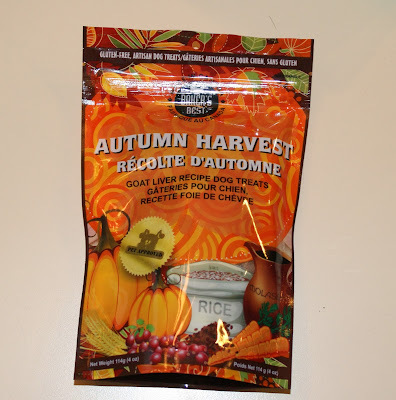 Here is the first of two treats in this month's BarkBox, the Autumn Harvest treats from Baker's Best. These treats retail for $8. 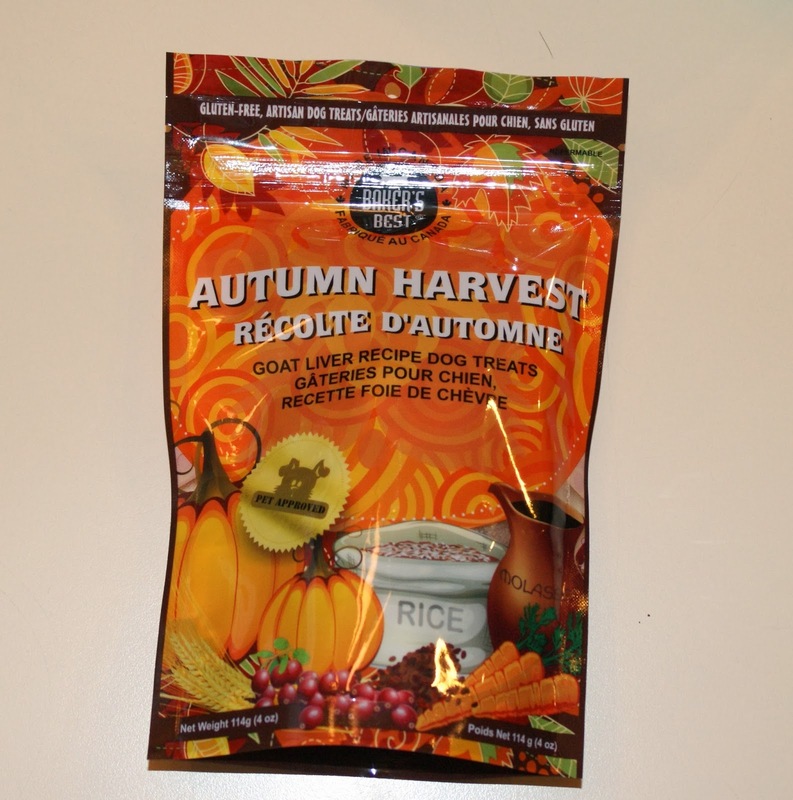 The main protein in these are goal liver, which is a strong alternative for dogs with allergies. They're also gluten free. At press time, these were gone. So, that should speak for itself! 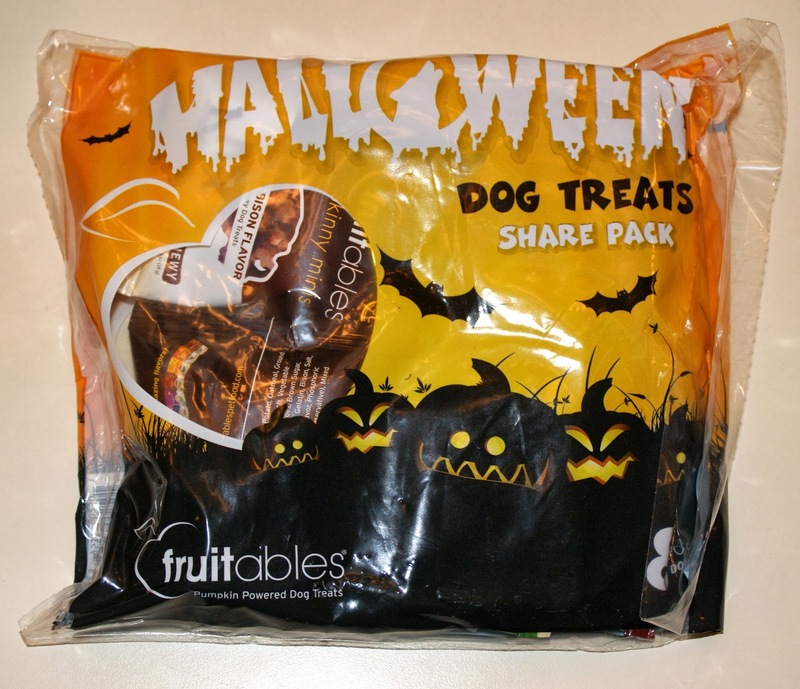 Here are the Fruitables Halloween Dog Treats, which retail for $6. These totally reminded me of the little pretzel packages my mom always bought around Halloween. 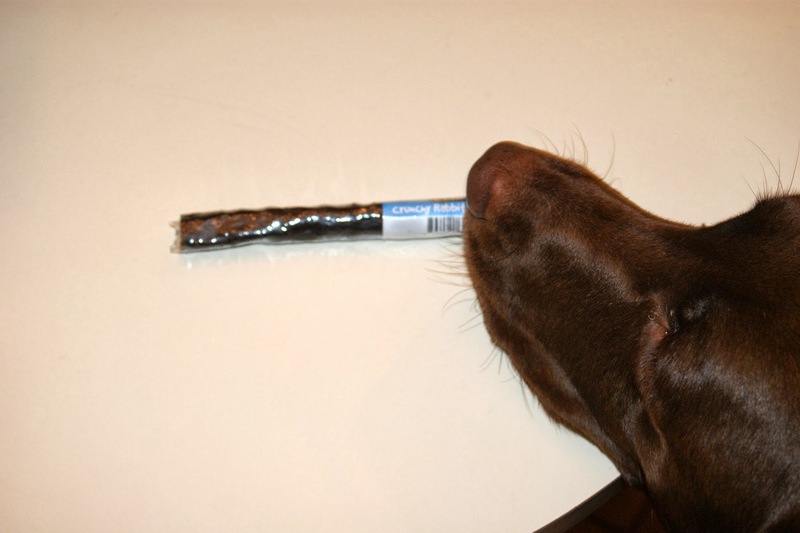 I had intended on handing these out to any dogs that came by for Trick or Treaters, but they didn't last that long. Instead, I kept these in the top drawer of my polish Melmer to bribe Brynn out from underneath my bed when I'm ready to go to bed. They ran out last night and we were both very sad. Here is a Crunchy Rabbit Chew from Etta Says, which retails for $2.50. 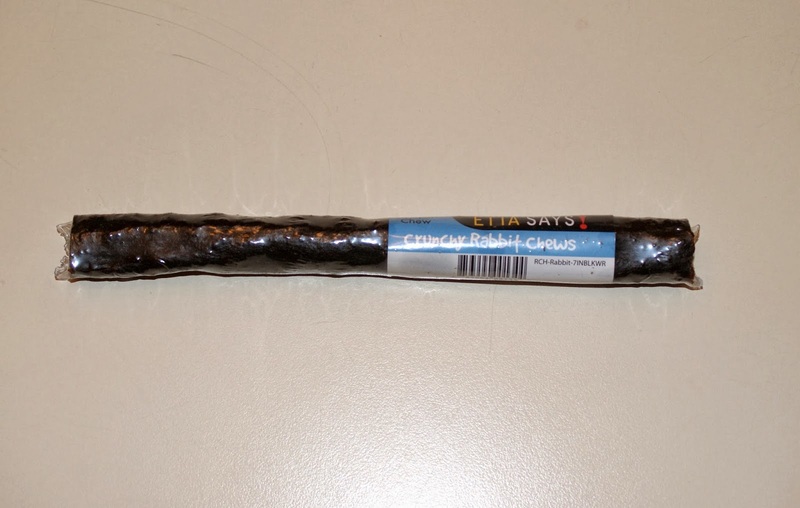 I've been saving the Duck Chew from April's box for a while for a day I need to keep Dakota occupied. 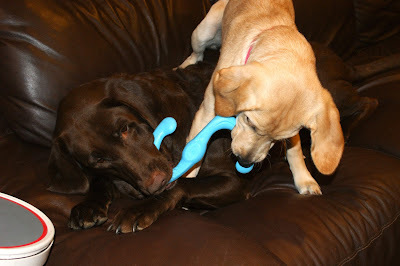 But now, I have two so I can keep both Dakota AND Brynn occupied. Overall, this was an AWESOME Barkbox. We got over $40 worth of fun stuff in here and the Fetch&Glow and ZogoFlex will last us a long time. I'd highly recommend any of these products! Remember, there is a $10 off your first box coupon. So you can click here and enter the code: ROIGBBX1 to receive your box for just $19! A donation will also be made to Romp Rescue, too. 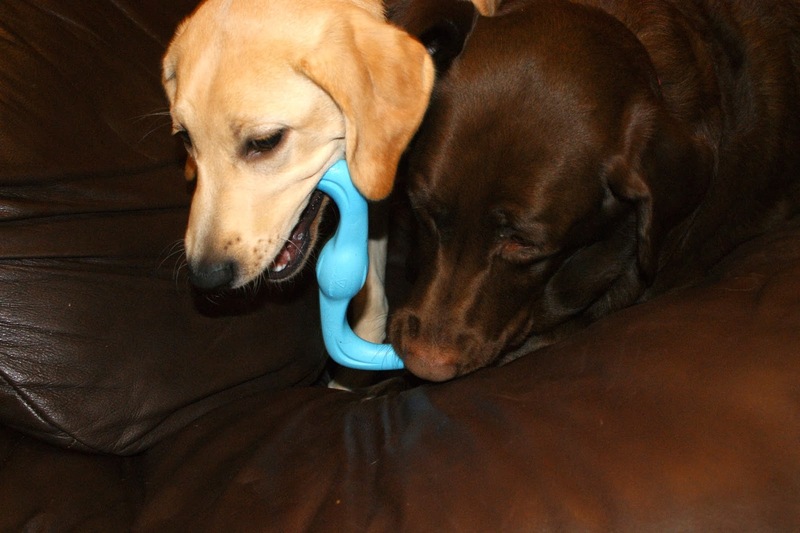 And a final bonus shot of the girls with their ZogoFlex! I have been eyeing this sub forever! I love it, but sadly our golden has A LOT of allergies and can't really eat anything aside from his super strict and specific diet :( If we ever get another pup I will totally be subscribing though! So fun! I love that this box exists! Dakota seems to be so good with the puppy! Such a great idea! I might have to look into the cat box! This is such a cute idea!! Will definitely look into it!